Spent 4 hours in the saddle on Thursday and the view speaks for itself…maybe a little incentive for Team Decaf, I’m just sayin! 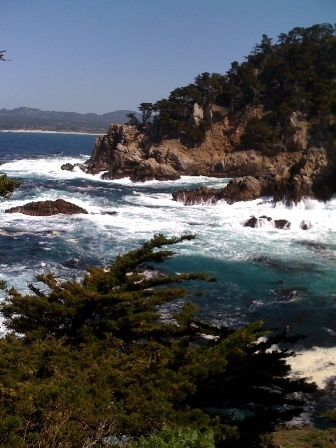 The pic is the California Pacific Coast, riding south. Hooked up with John Strait and cycling at Tazza D’Oro starts this Tuesday, April 7th. Meet at Tazza D’Oro at 6pm and the ride leaves at 6:15 pm SHARP ( weather rules though)! BTW, this ride is Team Decaf. Any questions, contact John. Plus look at the Tazza D’Oro cycling page for more info – click here. Tuesdays are tight for me but I will try my best to join in. How rad would it be to do a coffee and bike tour from Portland to San Francisco! Who’s in?